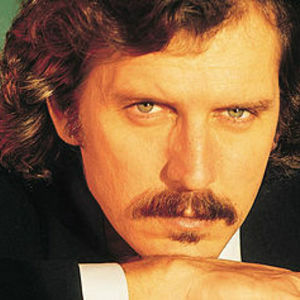 Michael Franks (born 18 September 1944 in La Jolla, California, USA) is a smooth jazz singer and songwriter from the United States. He has recorded with a variety of well-known artists, such as Patti Austin, Brenda Russell, Art Garfunkel, and David Sanborn. His songs have been recorded by The Manhattan Transfer, Patti LaBelle, Carmen McRae, Diana Krall, Shirley Bassey and the Carpenters. Franks grew up in southern California with his father Gerald, his mother Betty and younger sister Christine who is the mother of Connor Sullivan (The lead singer of The Royal Nonesuch). Franks grew up in southern California with his father Gerald, his mother Betty and younger sister Christine who is the mother of Connor Sullivan (The lead singer of The Royal Nonesuch). Although no one in his family played music, his parents loved swing music and his early influences included Peggy Lee, Nat King Cole, Ira Gershwin, Irving Berlin and Johnny Mercer. At age 14 Franks bought his first guitar, a Japanese Marco Polo for $29.95 with six private lessons included - the only music education that he received. At University High in Irvine, Franks discovered the poetry of Theodore Roethke with his off-rhymes and hidden meter. In high school, he began singing folk-rock, accompanying himself on guitar. Studying English at UCLA Michael discovered Dave Brubeck, Patti Page, Stan Getz, Jo?o Gilberto, Antonio Carlos Jobim and Miles Davis. He never studied music in college or later, but earned a Bachelor of Arts degree from UCLA in comparative literature in 1966 and a Master of Arts degree from the University of Oregon in 1968. He had a teaching assistantship in a Ph.D. program in American literature at the University of Montreal before returning to teach part-time at UCLA. During this time Franks started writing songs, starting with the antiwar musical Anthems in E-flat starring Mark Hamill. He also composed music for the films Count Your Bullets, Cockfighter, and Zandy's Bride, starring Liv Ullmann and Gene Hackman. Sonny Terry and Brownie McGhee recorded three of his songs, including "White Boy Lost in the Blues" on their album Sonny & Brownie. Franks played guitar, banjo and mandolin on the album and joined them in touring. In 1973, he recorded an eponymous album, later reissued as Previously Unavailable, which included the minor hit "Can't Seem to Shake This Rock 'n Roll". In 1975 Franks released his second album The Art of Tea, beginning a long relationship with Warner Brothers Music. The Art of Tea featured Joe Sample, Larry Carlton and Wilton Felder of The Crusaders and included the hit song "Popsicle Toes". His third album, Sleeping Gypsy (1977), which includes the song "The Lady Wants to Know", was partially recorded in Brazil. Around this time, percussionist Ray Armando gave Franks a cabasa, which became a signature instrument for him to play on stage when he was not playing guitar. Burchfield Nines (1978), which includes the song "When the Cookie Jar Is Empty", reflects his move to New York City and features more of an East Coast sound. Since then, Franks has recorded more than 15 albums. His best known works include "When I Give My Love to You", "Popsicle Toes", "Monkey See, Monkey Do", "Tiger in the Rain", "Rainy Night in Tokyo", and "Tell Me All About It". His biggest hit came in 1983 with "When Sly Calls (Don't Touch That Phone)" from the album Passionfruit. Radio hits include "Your Secret's Safe With Me" from 1985's Skin Dive, and "Island Life" from 1987s The Camera Never Lies.